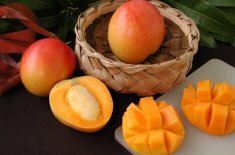 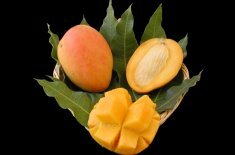 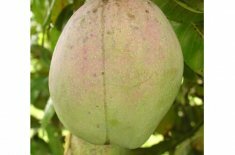 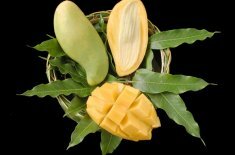 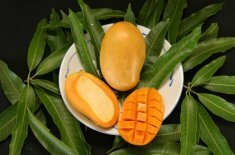 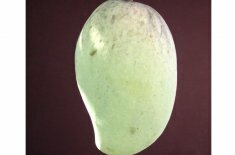 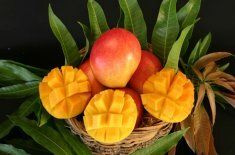 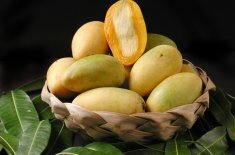 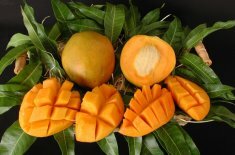 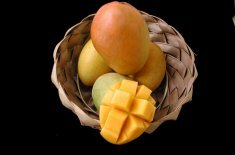 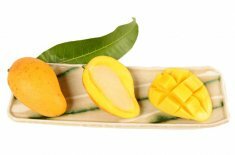 The appreciation of the mango began over 4,000 years ago in India and throughout Southeast Asia. 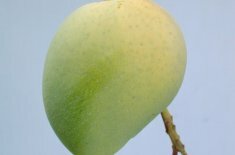 It was there that the first selections of improved cultivars were cloned from vast orchards and untamed jungles. 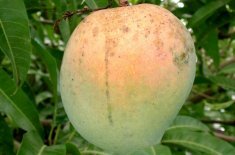 The ensuing millennia brought great recognition to the delectable fruit, and now it is known by more people worldwide than the peach. 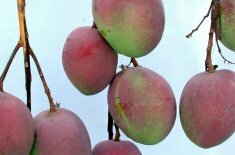 Commercial production of the fruit now spans six continents, and here in Florida is where most of the world’s commercial varieties were developed. 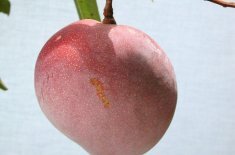 The Tommy Atkin, Haden, Keitt, and Van Dyke remain the most popular commercial varieties, and they were all selected in Florida less than 100 years ago. 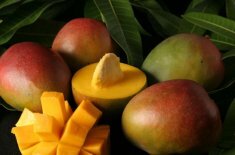 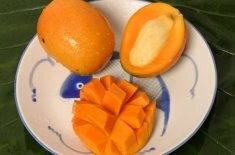 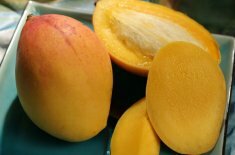 Although Florida did enjoy a brief stint as a commercial mango producer, the fresh fruit market is now dominated by Mexico, Brazil, and Colombia. 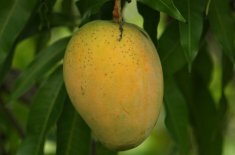 Ironically, the mango has never been more popular domestically, but the product has changed dramatically. 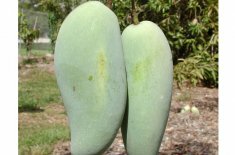 Growers in Miami, Houston, and Los Angeles are finding enormous satisfaction growing and harvesting one of the world’s finest fruits right in their own backyard. 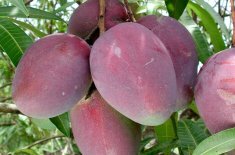 The needs of the dooryard grower, however, are very different than those of a commercial producer. 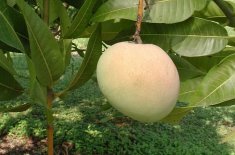 Dooryard growers generally prefer small trees that require minimal care and bear only the highest quality fruit. 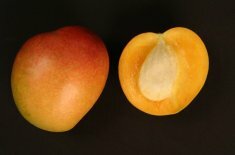 The criteria for commercial selections emphasize production, handling characteristics, and a red color. 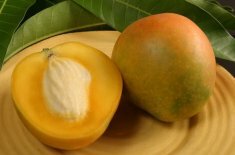 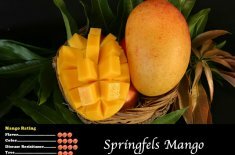 The mango varieties that we grow represent the finest selections from around the world including those selected here in Florida. 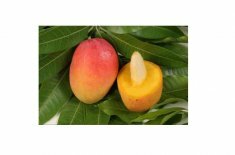 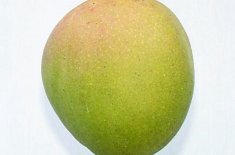 The mango viewer will provide insight into the different characteristics of each variety, and the rating system will assist in choosing a tree tailored to individual tastes and preferences. 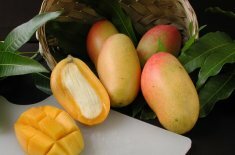 The rating for “flavor” takes into consideration fiber content, sweetness, and especially the desire to eat again. 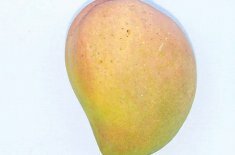 The rating for “color” is based on eye appeal, which generally favors reds and yellows. 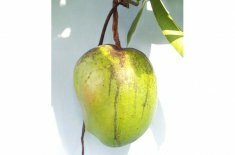 The category for “disease resistance” grades the fruit’s ability to ward off anthracnose, a fungus that leaves blemishes on the skin. 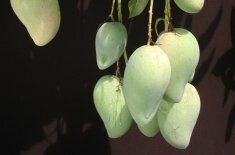 The “tree” category rates the beneficial attributes of each tree, and it indicates those that are more or less desirable to grow. 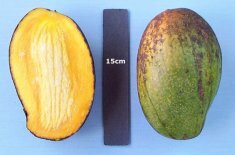 “Production” factors in both pounds per tree and the consistency of the crop. 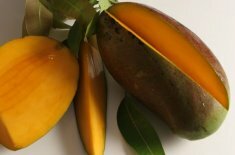 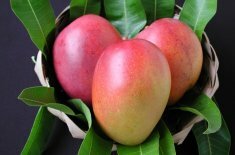 The term “condo mango” was coined by Dr. Richard Campbell, Ph.D., the curator of tropical fruit at Fairchild Tropical Botanical Gardens in Coral Gables, Florida. 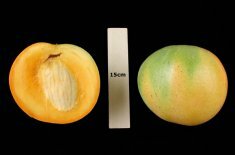 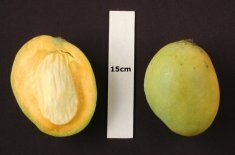 It refers to varieties that are conducive to growing inside containers, and thus small by nature and can be kept even smaller through selective pruning. 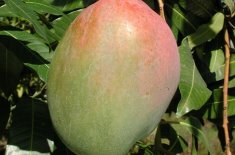 Condo mangos are suitable for balconies, greenhouses, or for planting in suburban backyards. 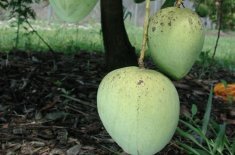 By cutting the tips of the branches once or twice a year, the trees can easily be maintained at six to ten feet according to variety. 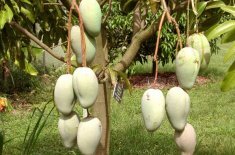 Training the tree to stay small is very easy, and the fruits of your labor are sure to impress.